While being a fan of the Beatles since 1964 I have of course read 100's of books on them. In general I refuse to buy them anymore because they don't have anything new to offer. I do look out for books that take on an un-tapped aspect of them and even those are rare. This book is fantastic. Until now, Jimmy Nichol was merely an answer to a trivia question. Now thanks to this book we know his career in detail before and after he got the offer of the century. Who knew that he not only appeared in a feature film, made records, toured Europe, and married long before the Beatles were even on any radar. The book is chock full of interviews, pictures, and notes which any Beatles fan (or music fan for that matter) would appreciate. The author did a unbelievable job and I enjoyed the book. There are about 20 books that I would recommend as "best" and this is one of them! For anyone who has been fascinated by the Beatle's story, the brief period of Ringo's absence during the group's first world tour was an mostly opaque chapter. Who was Jimmy Nichol? Where did he come from? Where did he go? 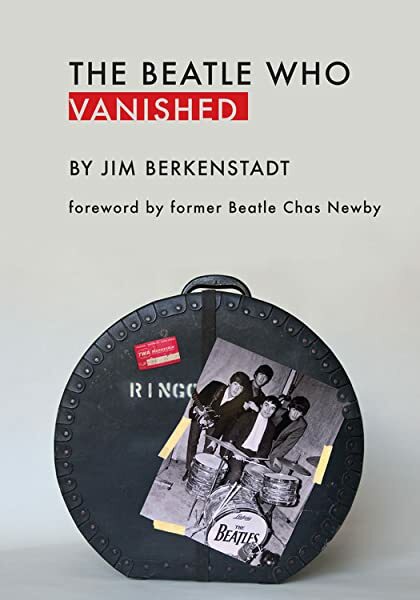 Jim Berkenstadt's investigative history answers these questions and provides a fleshed out picture of the drummer who sat in at the peak of Beatlemania. Many books and documentaries flash on a few images of Jimmy being interviewed and performing with John, Paul and George during the Scandanavian and Pacific tour dates. 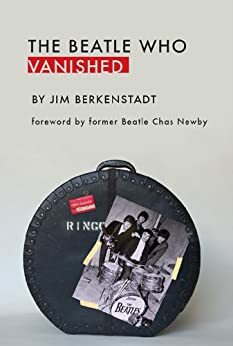 However, the author of this book digs deeper into the man who was briefly a Beatle before, during and after being thrust into the international spotlight. The narrative flows nicely from a biographical account into the Beatle history and concluding as a mystery unravelled. While Berkenstadt maintains a certain journalistic objectivity, he leaves the reader enough breadcrumbs to speculate on Jimmy Nichol's state of mind during the many phases of his career. At the end of the book, one gets the feeling of a three dimensional person as opposed to a mere background character filling in for Mr. Starkey. And still despite this filling in the blanks, one is left wondering at the final fate of Jimmy Nichol. The work is significant for any true Beatle fan, students of band lore or even someone having only a passing interest in the London music scene. For me it was a "must read." Thanks for the hard work Mr. Berkenstadt. It was greatly appreciated. When you've read literally hundreds of books about the Beatles, you start to get a feel for what's true and what's hype. And along the way, you get a feel for which authors you can trust. Names like Lewisohn, Spizer, and Babiuk are synonymous with meticulous research and a focus on accuracy. To those names I would add Jim Berkenstadt's. In this book, he has taken one of the archetypal "footnote figures" in the Beatles story and made him a living, breathing person. Up until now, Jimmie Nicol has been—at best—an obscure trivia answer. Even I knew relatively little about him. By the end of this fascinating book, I really cared about Nicol—the Beatle who vanished. I have to complain about the shoddy conversion to a Kindle version (assuming the print version is ok). Every page is full of multi-syllable words bro ken in to frag ments. At one point in the book, partial text (the bottom or top of lines) makes the content unreadable. Many misspellings - sometimes the same name is spelled two different ways on the same page. Love the content, hate the format.